Is it Safe to Travel to Kenya in 2019? Kenya’s authorities deal with the international terror threat in much the same way as other allies of the USA and Britain. You’ll find strict security at airports and visible policing in public places like shopping malls and outdoor markets. Kenya’s impressive military is very active along the eastern border with Somalia. Kenya, like many other democracies across the globe, periodically goes through short periods of political change. This is centred on Nairobi, fair from the country's sensational safari areas. In fact, in many instances you fly out of Nairobi immediately after landing, heading to the Masai Mara, Amboseli, Samburu or Lewa and Laikipia. It’s important to know that tourists don’t visit eastern Kenya at all. You will explore the famous game reserves far away on the opposite side of the country, along Kenya’s western border with Tanzania. This area is so stable and peaceful that the national border separating Kenya’s Masai Mara from Tanzania’s Serengeti is marked by simple stone cairns. You can see from the Mara into the Serengeti and, of course, millions of wildebeest walk this way every year on their annual migration. Although there is a long-standing travel advisory from the US State Department, it relates to very specific and strictly non-tourist areas mostly in the distant east of the country. It it not a blanket ban and, in fact, thousands of American tourists visit Kenya's incredible wildlife areas of the Mara, Samburu, Amboseli and Laikipia every year without incident. Go2Africans Bonita and Tracy enjoyed 'raindowners' in the Masai Mara in November 2016! This is the short rainy season so occasional afternoon downpours allow the guides to get creative with the traditional sundowners. Kenya has welcomed high-profile international dignitaries recently such international dignitaries as former US President Barack Obama and Pope Francis. Much less famous (but as important to us!) are our Africa Safari Experts who make regular visits to the country as part of our 'We know because we go' ethos. In November 2016, a record number of Go2Africa staffers - Madelein, Megan, Bonita, Tracy, Liesel, Rikke, Jessica and Angela - toured Kenya and all reported feeling safe and secure, as well as meeting plenty of foreign visitors who were having a great time on safari. We would never, ever send our clients to places we wouldn't visit ourselves with our own families. Because we are unsure about Mombasa, for example, we recommend Zanzibar, Mnemba or even the Seychelles as East African beach options that have fantastic diving and brilliant accommodation experiences. n 2015, Go2Africans Anja and Ashley flew around Kenya - here they are preparing to take off from Wilson Airport in Nairobi to fly to Amboseli. An influential promoter of Kenya tourism is Virgin entrepreneur Richard Branson (he owns Mahali Mzuri in the Motorogi Conservancy). Branson has outlined why travel advisories hurt countries and help terrorists in his blog (you can read it here). He argues for two main considerations: firstly, incidents occur very far from the premier tourism attractions. You’re much safer on a game drive in a private conservancy in the Masai Mara than driving your car on a multi-lane turnpike! Secondly, without tourist dollars, unemployment in rural areas skyrockets. This inevitably leads to a general increase in crime but, worst of all, poverty makes people more vulnerable to being recruited into organisations like al-Shabab. Where extremism gains a solid foothold, it becomes more difficult to extinguish. The conservation of Africa's wildlife relies heavily on the foreign currency generated by tourism – without these funds, important conservation projects would have to scale down or close, national parks are forced to lay off rangers and anti-poaching units, and poaching thrives. If the tourism industry suffers, the domino effect of suffering for rural communities and endangered wildlife are truly horrifying. Travellers and animal lovers from across the world flock to Kenya for experiences like feeding the endangered Rothschild's giraffes at The Giraffe Centre in Nairobi. Go2African Safari Experts Anja, Mary and Ashley enjoying sundowners in Samburu Game Reserve. 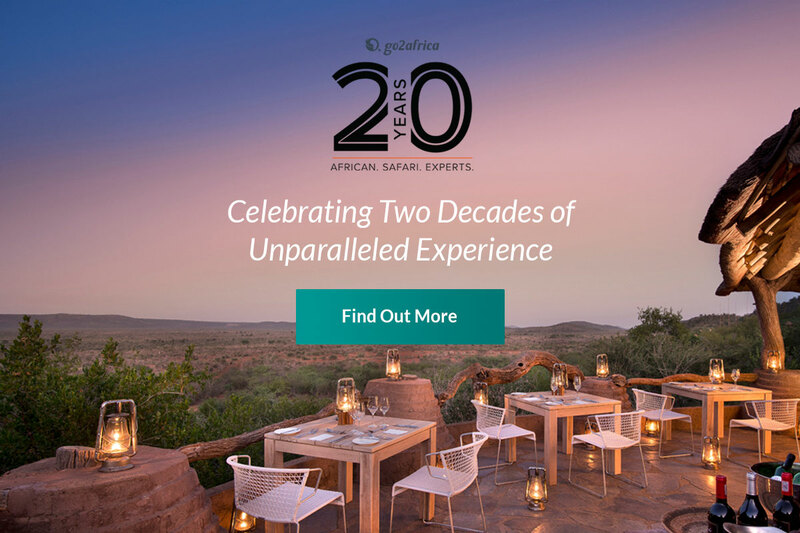 In addition to many Go2Africa staff and clients travelling in 2016, senior Go2Africa Safari Experts – Ashley, Mary, Genevieve and Anja – stayed at properties in both Nairobi and the Masai Mara in 2015. They also reported back that airport security was very high, giving passengers peace of mind. Some hotels in Nairobi have also instituted security measures such as metal detectors but that these are a minor inconvenience that is soon forgotten. Our ASEs stayed at Hemingways Nairobi and Nairobi Tented Camp in the city, two tranquil spots that are firm favourites with travellers. From there, they zigzagged Kenya, staying at Ol Donyo, Porini Amboseli Camp in elephant country and other luxurious lodges. Their itinerary allowed for chartered flights and private transfers with trusted and professional suppliers all the way, ensuring their safety at every step. Fun on safari: a balloon landing in the Masai Mara for a group of Go2Africans while Safari Experts Rikke and Tracy don traditional shukas on the evening game drive! In addition to Branson completing Mahali Mzuri, in 2015 Steve and Nicky Fitzgerald – the renowned and experienced team behind more than 60 &Beyond camps – unveiled Angama Mara, an incredible lodge set on the escarpment of the Mara Triangle. With more than three decades in the safari game, the Fitzgeralds know their stuff and investing heavily in Kenya is significant endorsement of the country’s attractiveness as a safe, comfortable and stable travel destination. In 2016, Hemingways Watamu - sister hotel to Hemingways Nairobi - opened at Watamu, which is just past Malindi. 2017 promises to be just as busy with all the Governor's Camps undergoing multi-million upgrades. The message is loud and clear to us: Kenya is thriving and open for business. It remains one of the most sought-after safari destinations for a reason - the game viewing is amazing, the people friendly and the logistics easy. If you're interested in a Kenya safari, have a look at our guide to your first Kenya safari, or our round up of where to go in this incredible country and when to go for the best weather.